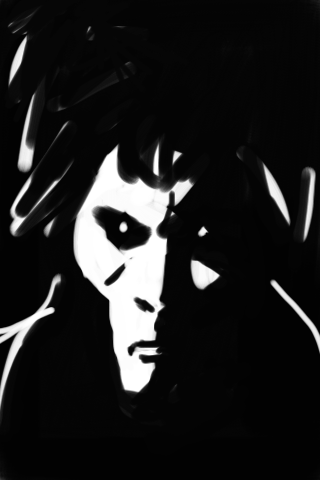 I had the idea for this pic even before I knew I was going to select Sandman for this week's TWART. I love Flint Marko, AKA The Sandman. There are a ton of reluctant superheroes out there, but Sandman is one of the few reluctant supervillains - and he sports a wicked Steve Ditko design (incorporating Ditko's trademark cornrows) to boot. 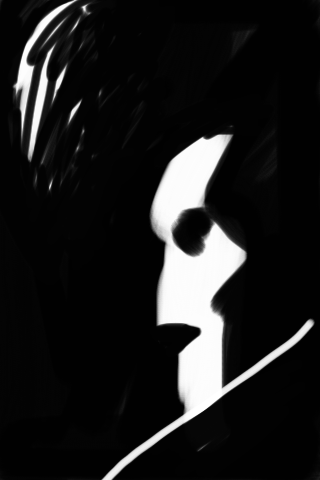 I also did a couple of DC Sandman sketches using the Brushes app for iPod. I used my finger! It's the future! Congrats, sir!! I'd like to now present you with this award for YOUR BEST TWART EVVVAARR!!!! Dang, I'd kill to have you on a Spidey title! Mark my words, Marvel gets you on a Spidey title, and I'll but it without hesitation. GREAT Sandman. Yeah, for real! Give that man a Spider-comic to draw!! 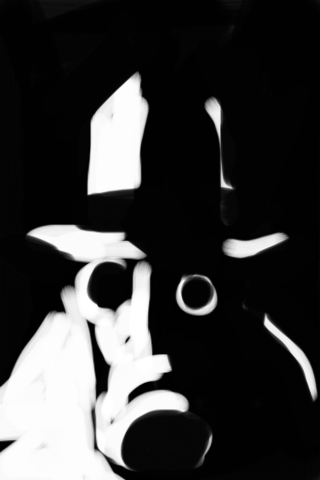 Man, I'm glad you're on the Twart-train again. Way to jump back in man. Brilliant stuff. wow. really nice nostalgic spidey! brilliant! Chris, Evan, Mike - thanks, guys. I'd give my left bollock to work on a Spider-Man book. Man, if Untold Tales was still running, Kurt Busiek would have to take out a restraining order against me. Matt, Jeff, Andie - cheers! Dec, Ron - yeah! It's good to be back! 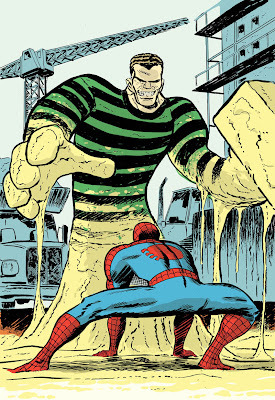 Wow that Sandman vs Spidey just made my day with all it's retro coolness... awesome stuff. I'm with everyone else, now all I want is a Dan McDaid Spidey run! Wicked cool. I love them, especially the first and last ones. 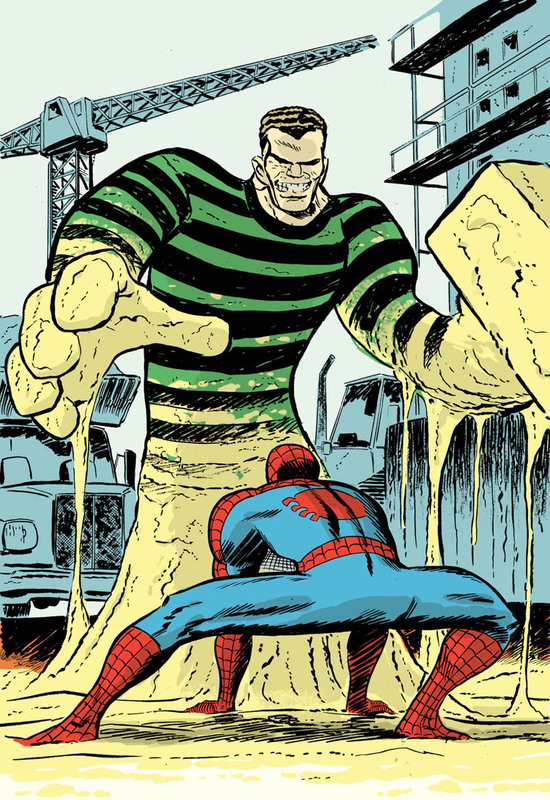 Sandy v Spidey - Love the dripping sand, Spidey's pose, and the background, which just screams old marvel to me when it seemed like most fights took place in abandoned buildings and contruction sites. 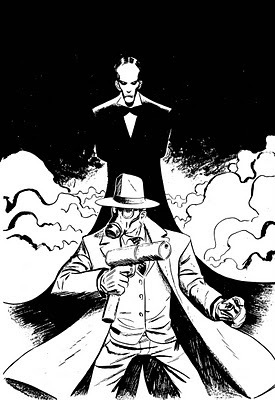 Warm up piece - I love the big isoceles triangle, the billowing cloaks and fumes, the way the one sandman is hovering over the other, the way the GA Sandman is poised ready for action. Damon and Dan, Mitch and Mitch - thanks a lot, guys! Dave - terrific critique, makes me think I'm doing something right. Cheers! Go Spidey! You can take him!